Secret Seven Adventure by Enid Blyton – It's Time to Read! When a priceless pearl necklace goes missing, the Secret Seven are first off the mark to catch the thief! Why? Because they saw him making his escape! Now all they have to do is find the necklace! This is book number 2 in the Secret Seven books by Enid Blyton. These are a series of mystery books for children based around a group of seven friends who are always looking for adventure. In this novel, the Seven are out playing Indians in the woods when Colin sees a man jumping over a very high wall and then hiding in the same tree he is. This is all very suspicious…and then on the radio the Seven hear that a priceless pearl necklace has been stolen – did Colin see the thief? Will the Seven be able to catch him and find the necklace? I did enjoy this book, but sadly this time my adult senses did intervene a little. Of course they were going to find the thief and the necklace, a group of seven children! My cynicism spoiled this novel for me a little. I loved the first book, but this was a little far-fetched even for me. This book does have a lot in it and I can see why children would love it. There is adventure, there are games, there is a mystery to solve, and we get taken to the circus – plus behind the scenes at the circus, where we meet the animals. For a short book (my addition only had 121 pages) there is a lot packed in to it. I solved the mysteries that the Seven struggled with very quickly but I don’t know that a child would. There is a little bit of suspense and I can see a child being sucked into this adventure and loving it. For me as an adult, a little bit of the magic was lost on me. Again, I didn’t find that the age of the book mattered to me. I barely noticed that the book is over 60 years old. I do think that Enid Blyton has a timeless style and I like children today would enjoy this book a lot. I’m rating this book 3 out of 5 because I did enjoy it; however I felt a little old for it this time round. That won’t stop me reading this to my children, and encouraging them to read Enid Blyton, and it won’t stop me reading the rest of the Secret Seven books. 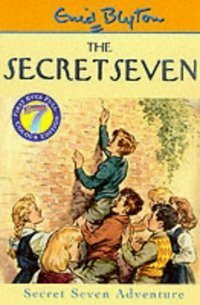 Pingback: 2014 Reading: #4 Enid Blyton’s Well Done, Secret Seven | It's Time to Read!